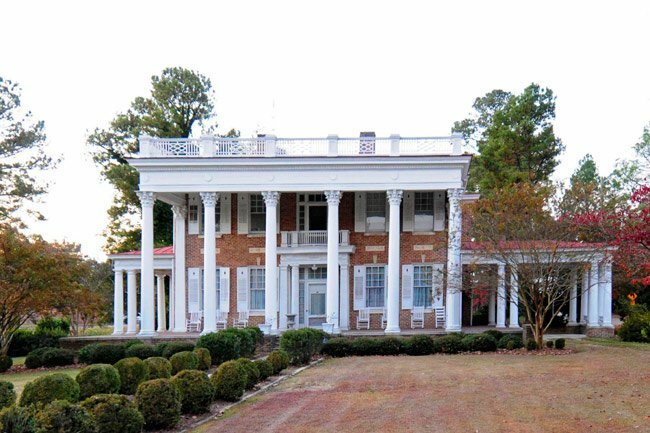 This neoclassical manse in downtown Bishopville first belonged to Edward Tisdale, a successful cotton merchant and Sumter native. 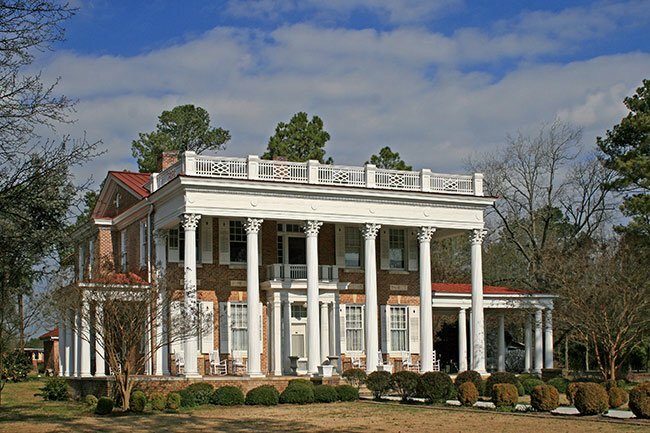 Tisdale hired Sumter architect James Herbert Johnson to design the lavish home. It was begun in 1914 and completed in 1918. In the early 1900s, Tisdale relocated to Bishopville from Sumter to profit from Lee County‘s booming cotton market. Not only did he grow the crop on his vast acreage, but he also established two cotton gins in town – one on Main Street and another on Durant Street. Both were operating by 1909. The great wealth he accrued from planting allowed him to construct this impressive home, which he called The Manor. In the early 1920s, cotton prices began to drop and production dwindled. By 1923 neither of Tisdale’s cotton gins were in operation. Tisdale’s financial decline continued when he lost most of his savings in the stock market crash of 1929. However, he was able to retain his home. Tisdale’s son, Edward Tisdale, Jr., acquired The Manor in 1944, following his father’s death. The younger Edward lived here until 1960, and it then passed to W.W. Tisdale, who resides in the manse today. 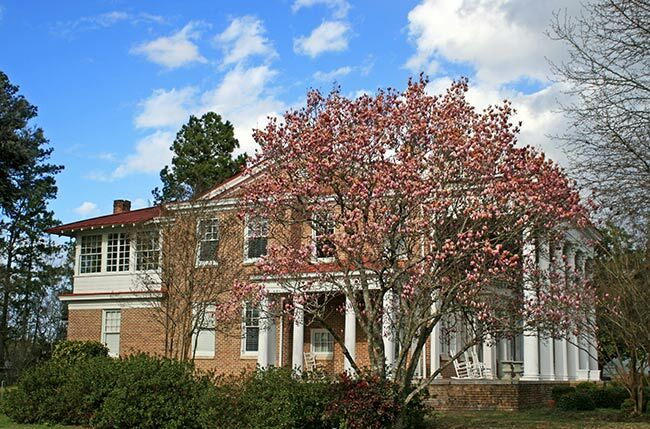 The Manor is one of the best examples of early twentieth-century architecture built in Bishopville. Its Neo-Classical design was the work of architect J.H. Johnson of Sumter. It was begun in 1914 but was not completely finished until 1918. The house was built by Edward Tisdale who was one of Bishopville’s leading cotton merchants of the early twentieth century. Tisdale was a farmer and businessman who lived in Sumter until the early 1900s. He moved to Bishopville during its boom years to take advantage of the growing cotton industry. Tisdale amassed a sizeable fortune through the cotton industry by 1914 when he began his house on Main Street. The house is a two-story, rectangular brick building with a gable roof and two interior brick chimneys. 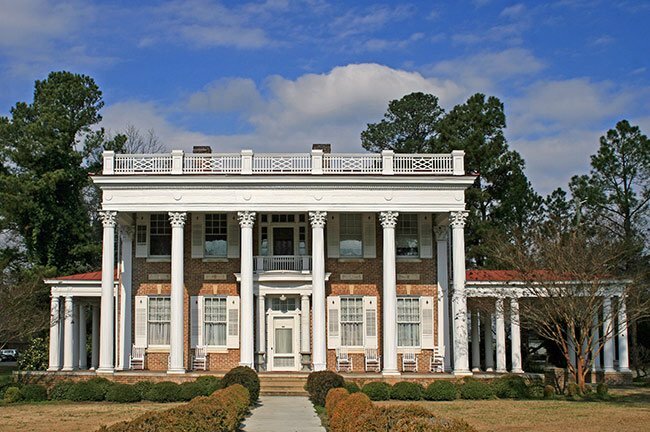 On the main façade is a free standing, two-story portico with six wooden Corinthian columns. Above the columns is an entablature with round medallions in the frieze and dentils. On the roof of the portico is a balustrade and decorative railing. The interior details include coffering in the ceiling, dentils, urn and garland designs and other classical motifs. At the rear of the house are two original, one-story brick, hipped roof buildings which serve as a garage and storage area for the main house. This was my wife’s childhood home. We have Sunday dinner there.